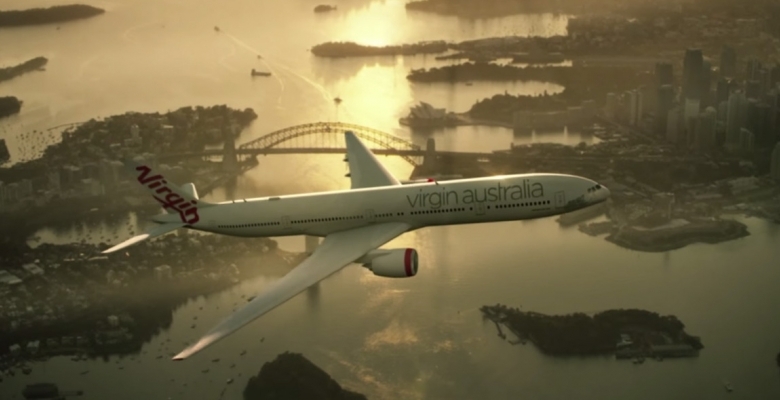 Virgin Australia and Tourism Australia are targeting this year’s Oscars in a A$4 million joint marketing campaign aimed at luring more Americans to Australia. The integrated digital and TV-led campaign, which commences on 10 February 2015 and runs until 24 March 2015, combines Tourism Australia’s ‘There’s Nothing Like Australia’ destination imagery alongside a Virgin Australia call to action, ‘There’s No Better Way to Get There’. The latest collaboration leverages the partnership with Restaurant Australia featuring stunning footage of uniquely Australian dining experiences and represents a significant milestone in the two partners’ $20 million, three year global marketing deal. - Tourism Exchange (ATE), DreamTime and, most recently, ‘Someday’, the largest campaign ever run by Tourism Australia in the US, delivering 250 million online impressions. As one of Australia’s largest airlines, connecting to 450 destinations worldwide, Virgin Australia plays a vital role in flying international visitors to and around Australia. Virgin Australia Chief Customer Officer, Mark Hassell said, “Our latest campaign is an example of Virgin Australia’s significant investment in inbound tourism. Our partnership with Tourism Australia continues to go from strength to strength and we’re delighted to be jointly promoting Australia on the world stage. “This is an emotive campaign highlighting Australia’s best food and wine experiences and our oustanding level of service. We hope to ‘wow’ discerning American viewers with the breadth and depth of experiences Australia has to offer, beginning with the award winning product and service our airline provides,” Mark Hassell said. Tourism Australia Managing Director, John O’Sullivan, said that the campaign would have a strong food and wine theme, in keeping with the focus of its current global marketing activities. “Restaurant Australia has created a great platform for us, particularly within the US, and allows us now to really put our focus on conversion opportunities. “The journey is such an important part of the overall experience and we are really pleased to be partnering with an airline of the quality of Virgin Australia, whose commitment to world-class customer service is so high,” he said. Mr O’Sullivan said the campaign would be supported by an A$4 million media buy to drive traffic to its newly upgraded Australia.com website, where a TravelZoo booking widget would enable customers to book holiday packages from five wholesale travel partners. “Ultimately, the goal is to build upon the growth we have seen from the US market over the past 18 months, by delivering compelling destination messages and great travel offers to affluent, middle-aged leisure travellers in ten of America’s key states,” Mr O’Sullivan said. North America is an extremely important market for both Virgin Australia and Tourism Australia. The airline opperates 28 weekly flights to and from Los Angeles to Australia’s East Coast and up to 42 flights per week as part of the alliance with Delta Air Lines. Virgin Australia moved to a daily service between Brisbane and Los Angeles late last year. To date, uptake of the increased services has been strong, with data showing that approximately 74% of inbound holiday visitors from the United States focus their travel on Queensland and New South Wales. Virgin Australia anticipates their award winning product and service will be showcased to around half a million passengers on the LA to Australia route alone this year. Later this year, Virgin Australia’s Boeing 777 fleet will be refitted with new world class Business Class Suites, which represent a major enhancement to the travel experience on board. The seats, which convert into 80 inch fully-flat beds, are a major product innovation under the airline’s Virgin Vision 2017 strategy. The United States is Australia’s fourth largest international tourism market, with 537,600 US arrivals during the year ending September 2014, up 10.8%. Total annual overnight visitor spending for the US market is currently approximately A$2.7 billion , with the potential to grow to up to A$5.5 billion by 2020.